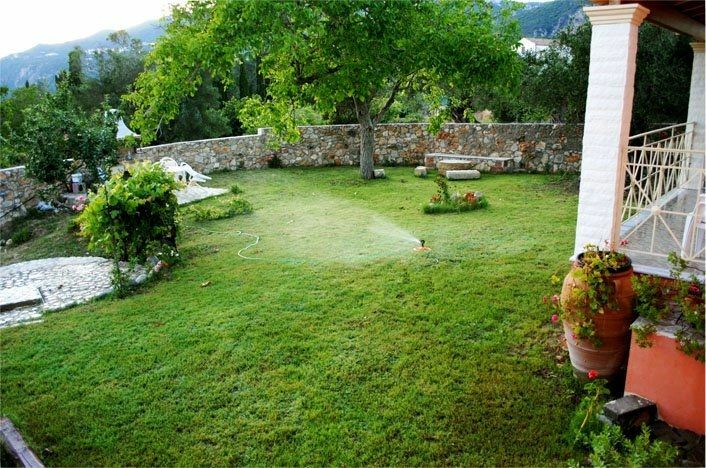 Corfu villas | Villas for rent in Corfu, Greece COR008 | Villa for rent in Paleokastritsa, Corfu, Greece, for 6 guests, with private pool and big garden. 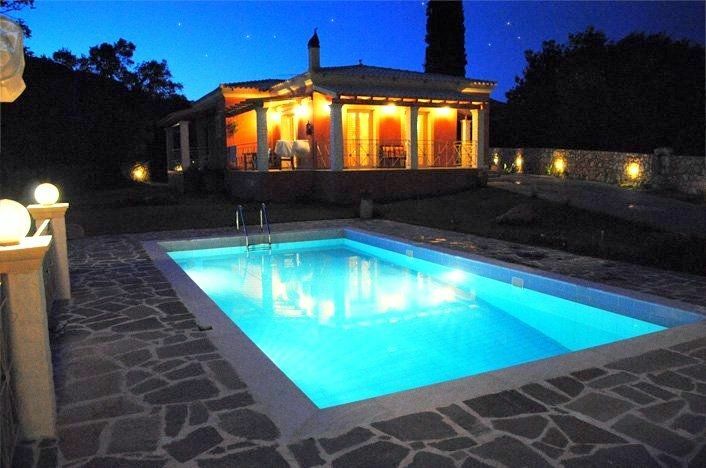 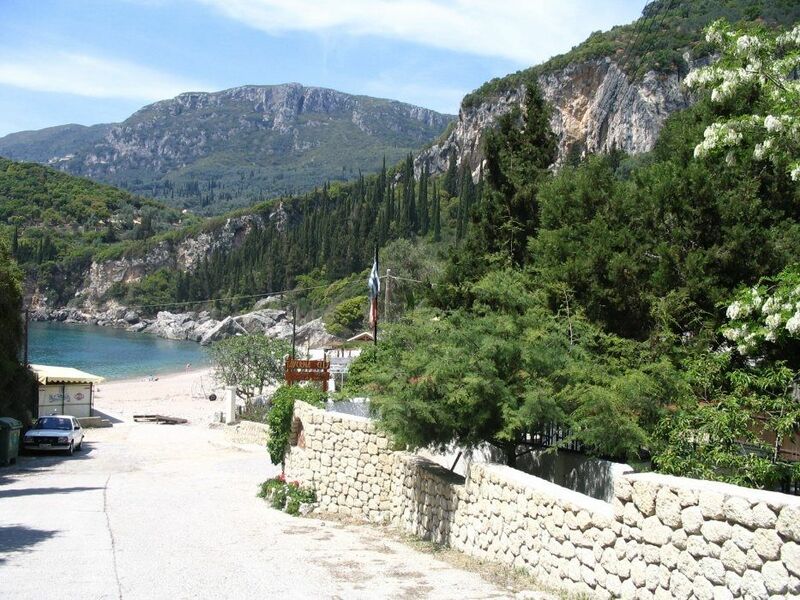 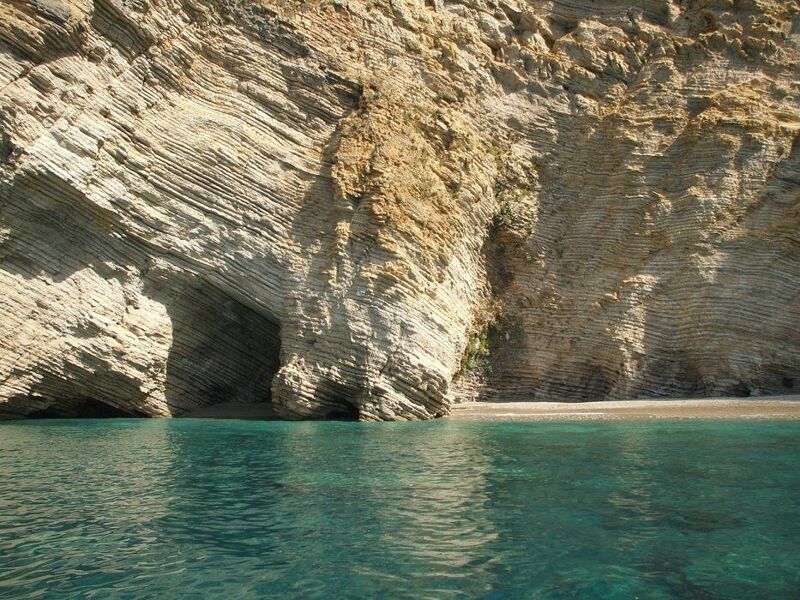 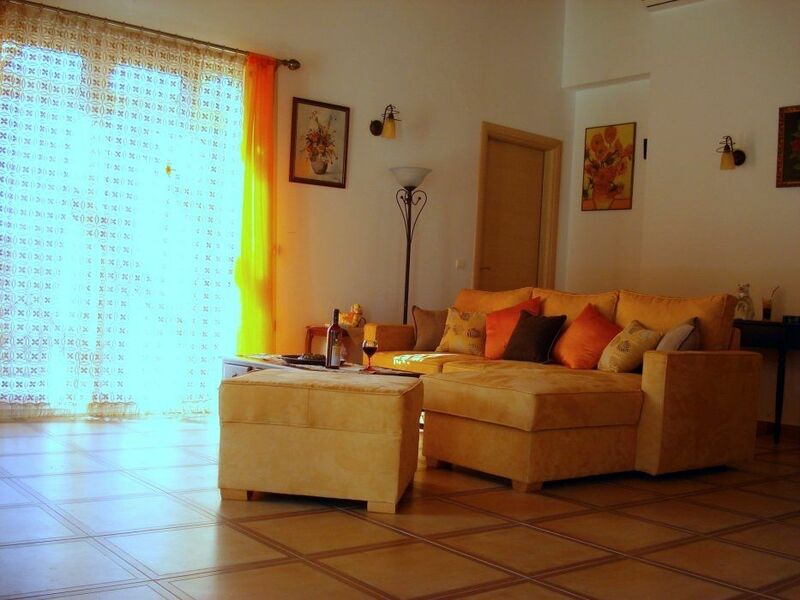 Villa for rent is in Corfu village. 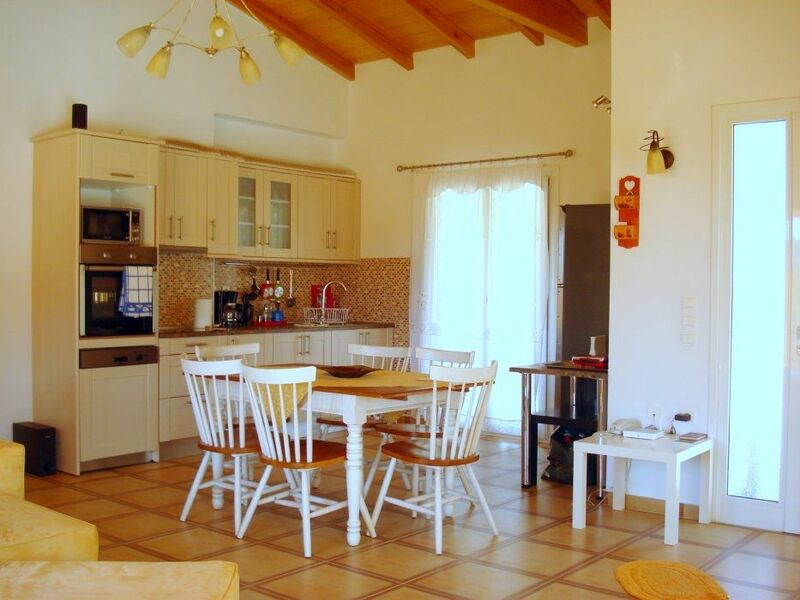 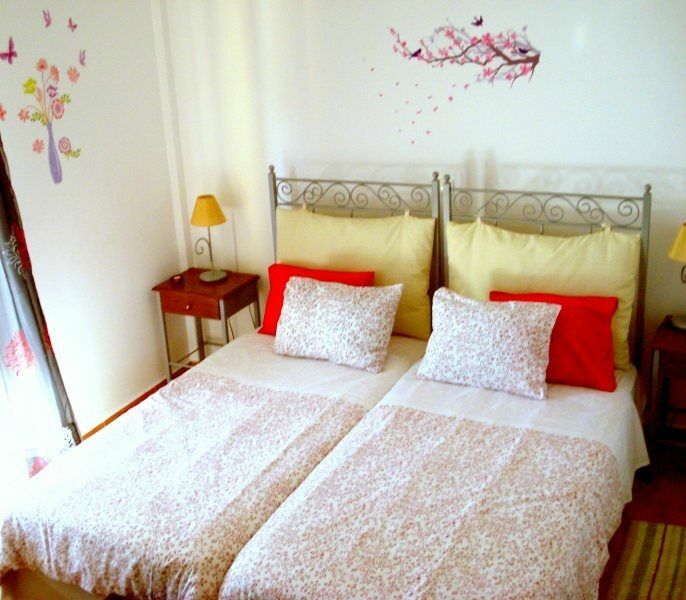 Villa has 2 bedrooms and can accommodate up to 6 persons. 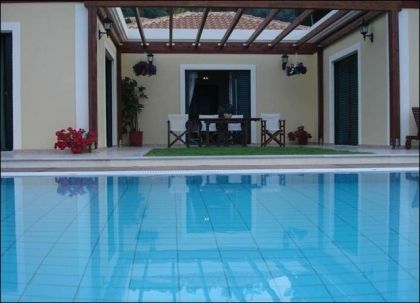 Villa has sea-view, is situated 800 m from the nice pebble beach and offers the atmosphere of privacy. 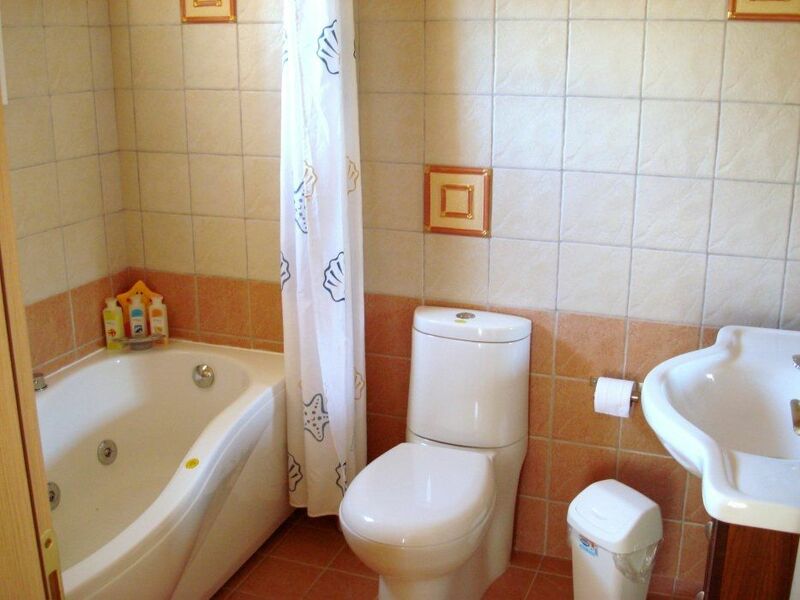 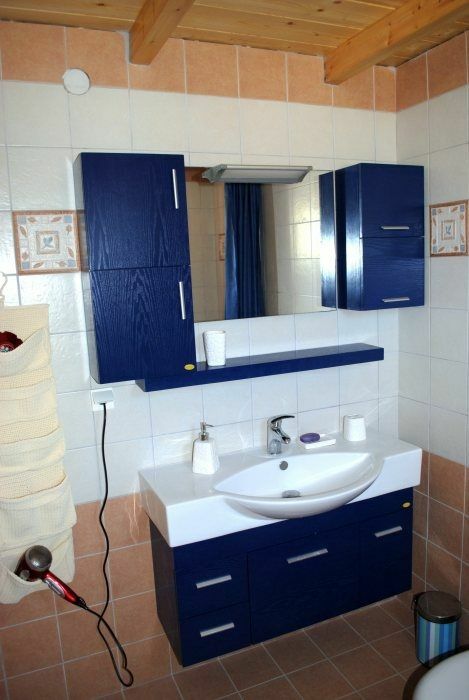 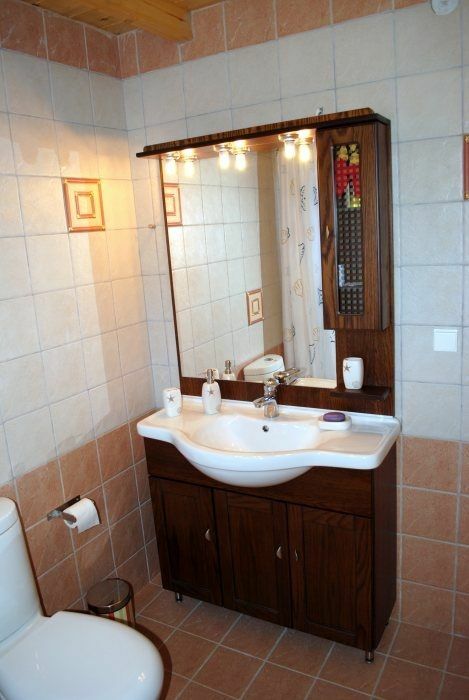 This house with the modern facilities and high level of service standards will give you a unique vacation experience. 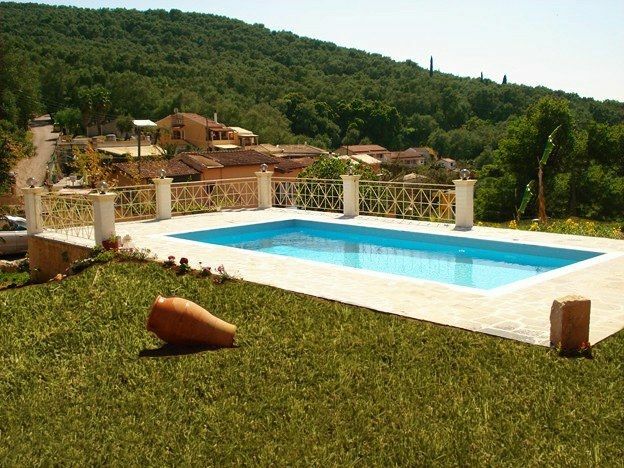 Villa is surrounded with a stone wall, your kids can play in the garden and lawn of 1000 sq.m. 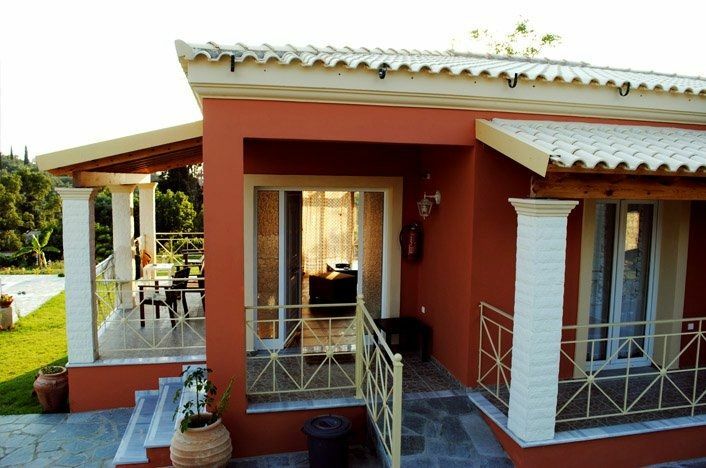 while you are sitting in the spacious sun terraces. 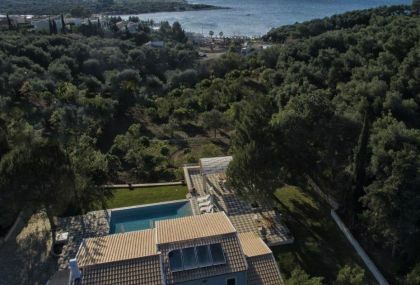 The villa has a view on sea and mountains. 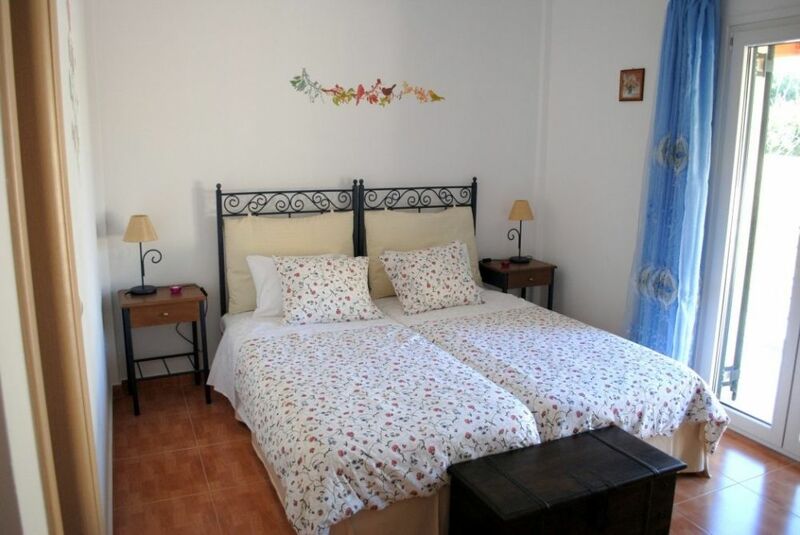 The villa has two twin bedrooms with a/c and both have ensuite bathrooms with Jacuzzi, living room with fireplace, DVD, CD, w/c with shower, a fully equipped kitchen and verandas around the house. 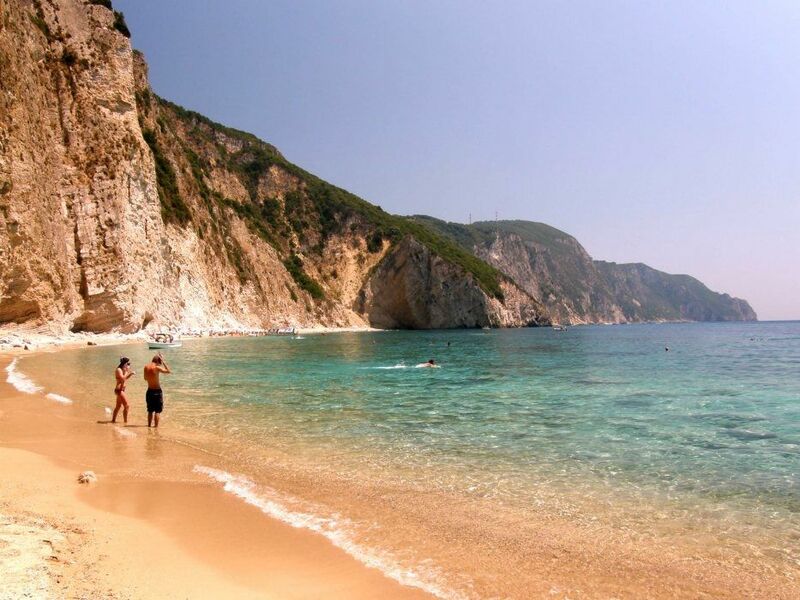 In General for more shopping centers and nightlife you will find in Paleokastritsa, there are big variety of souvenir shops, boutiques, jewelers, mini-markets, bars, disco and taverns.